Making jewellery covers a huge range of possibilities. If you tell someone ‘I make jewellery’, they may assume you are working with gold or silver and using metal-smithing techniques. If you refine your definition a little and tell them you have been making jewellery using beads, then the chances are, they will immediately picture strung necklaces and bracelets or earrings like you could find in high street fashion stores. 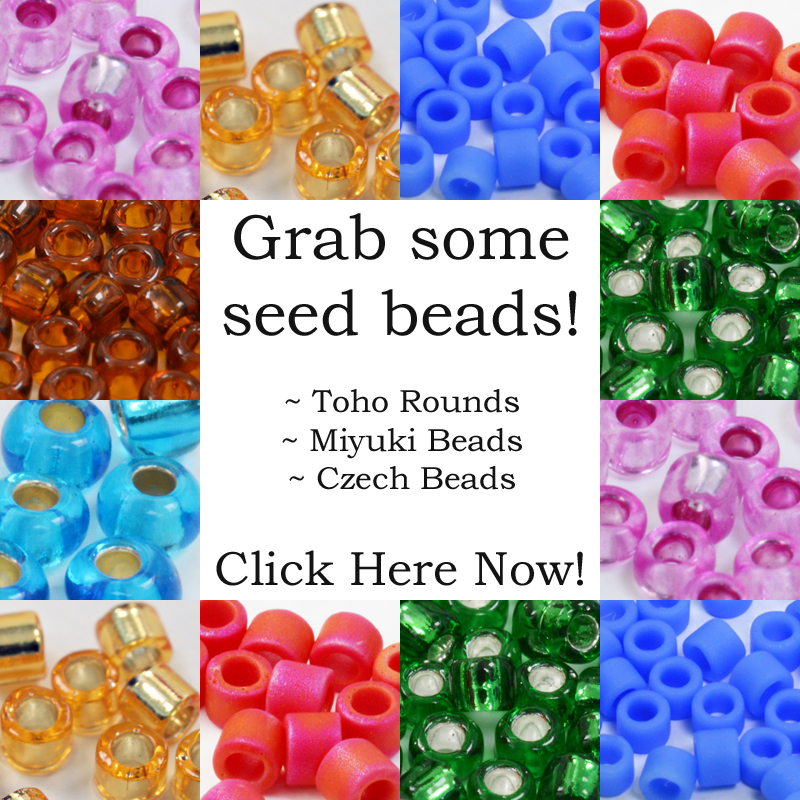 You may actually be making jewellery using bead-weaving techniques like Peyote stitch or Netting and if this is the case you probably want to be reading about those techniques. 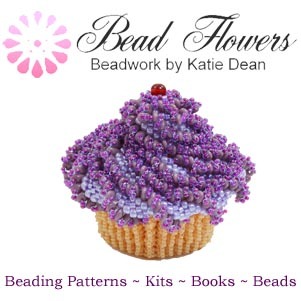 On this page I’m going to take a look at all those other ways of using beads for making jewellery. These are usually the techniques that people want to learn if they are thinking about making jewellery for friends or contemplating starting a jewellery business to sell their work. 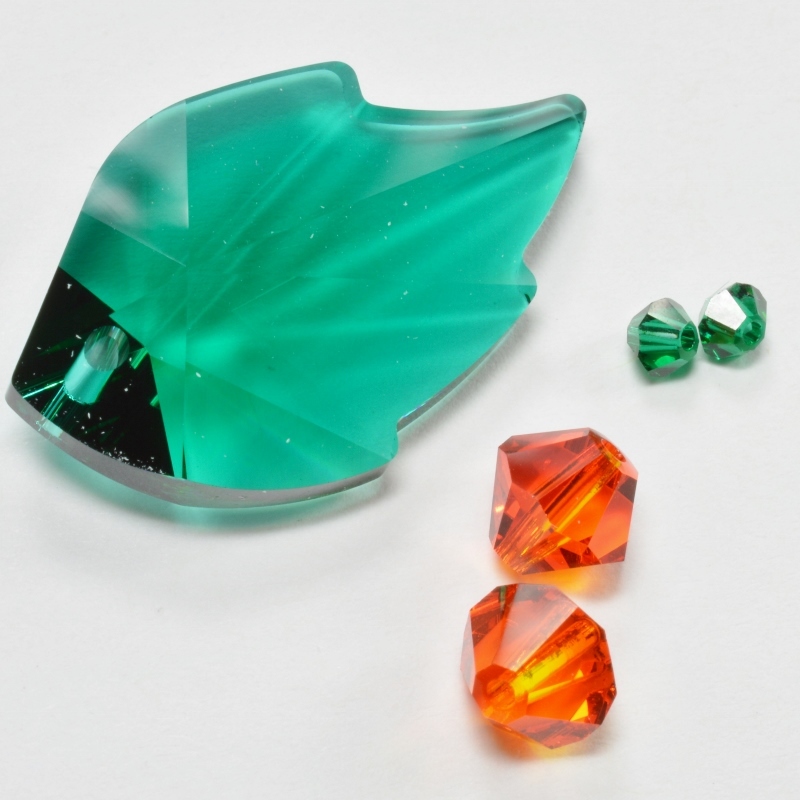 Fortunately the basic techniques for making jewellery are relatively few and are also simple in principle. I say this because, although the actual actions you need to learn for the techniques are not complex, you will probably need a lot of practise in order to perfect them. 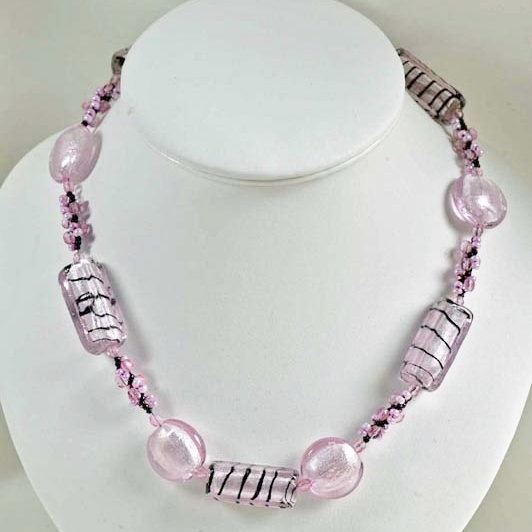 If you are making jewellery for yourself, you can perhaps get away with untidy crimps or uneven wire loops, but if you want to make jewellery for someone else, you really need these techniques to look as good as they would on a shop-bought piece. So what are these techniques? The most basic necklaces and bracelets are made using stringing. As the name suggests, you basically need to string beads onto some kind of material. For making jewellery, you just need to understand the choice of techniques for finishing the stringing material you have chosen. If you have used a thread, like Nymo for your project, then you need to use this thread to attach your clasp. If you have made a long rope-style necklace that requires no clasp, then you can tie the two ends of your thread together in a secure knot and weave the thread back through the necklace, knotting between beads as you go. 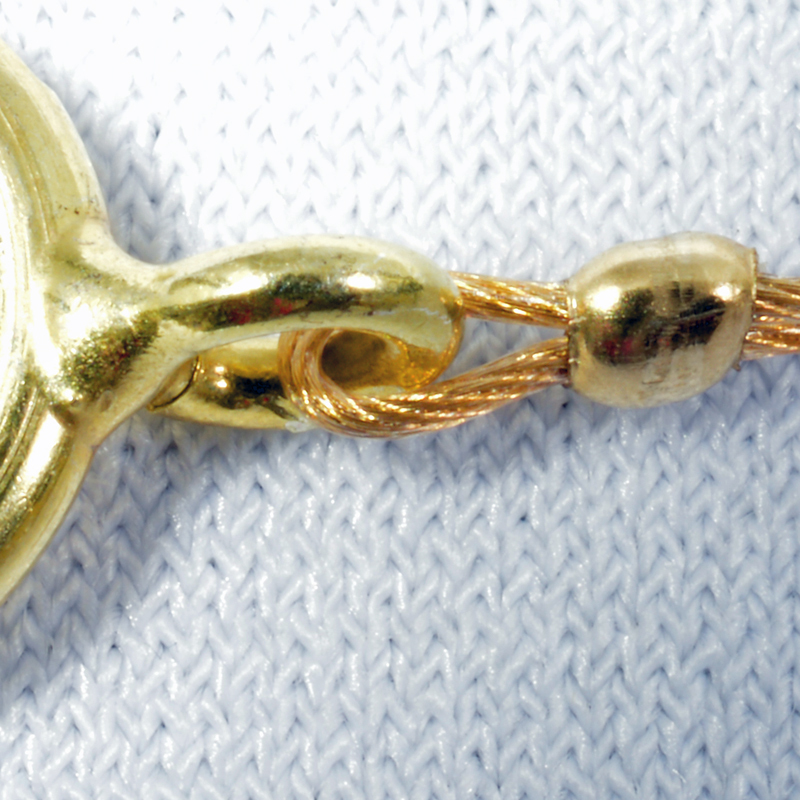 If you want to attach a clasp, then you can just stitch straight through the clasp, but you would be better advised to learn one of the professional finishing techniques, like using French Wire or a Calotte. You can find out more in this post. You can make basic stretchy bracelets and rings by stringing your beads directly onto elastic. You will not need a clasp for this type of project, so you should finish off your work by tying a surgeon’s knot and adding a dab of jewellery glue or clear nail varnish to secure the knot. 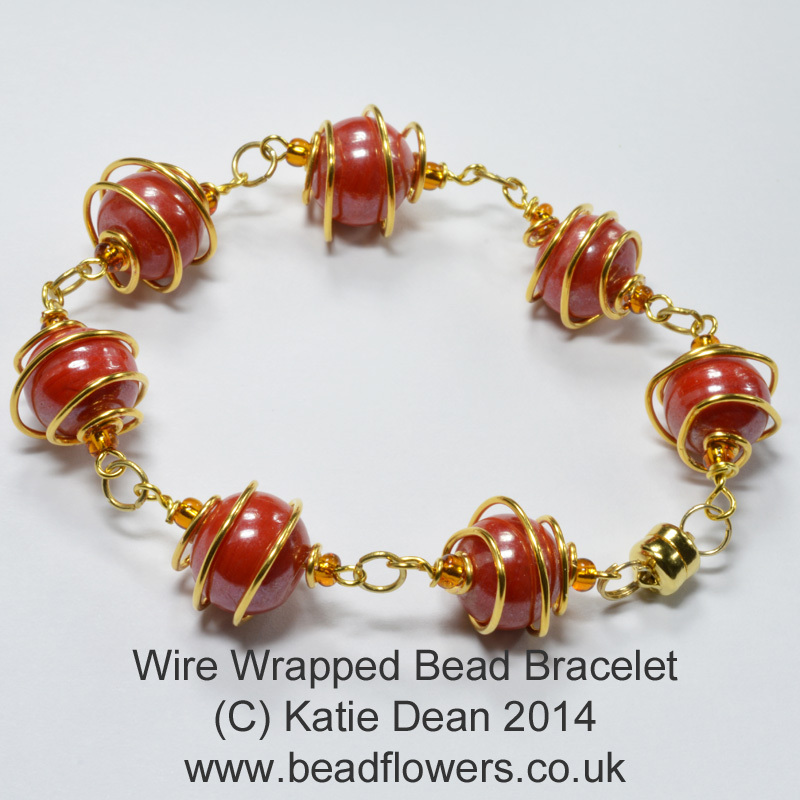 You can read more about different types of knot for jewellery making with beads in this post. If you are stringing on a stranded metal product like Beadalon or Tigertail, then you will need to learn how to use crimps to attach a clasp. If you are using memory wire, then you can buy memory wire end caps to finish the ends, but I prefer to use wire loops for finishing (see below). 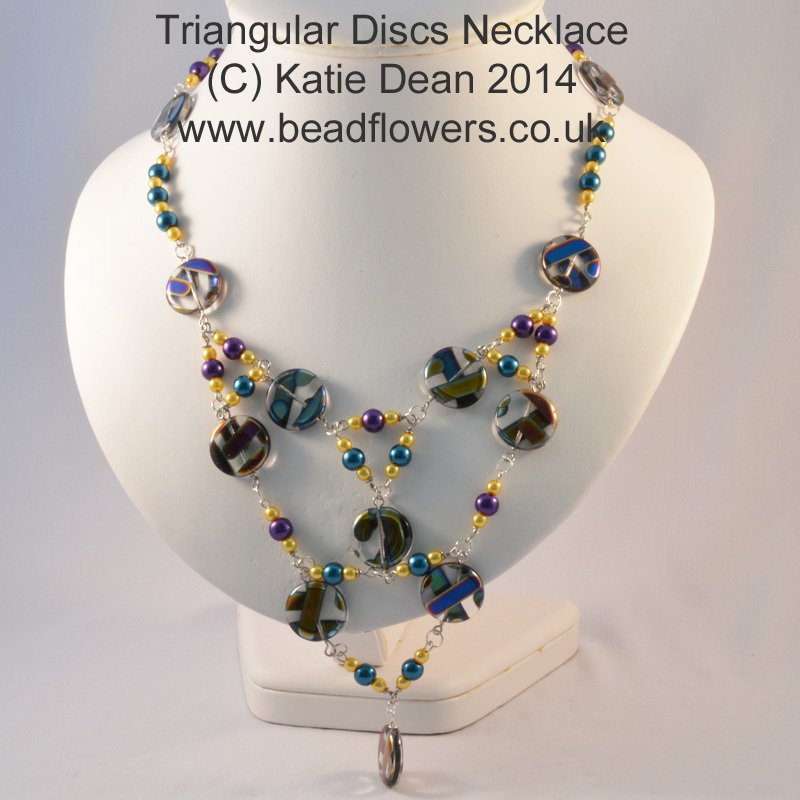 Once you have mastered the correct techniques for finishing strung jewellery, you need to consider the design element. A two year old child is capable of stringing beads, but if you have ever seen the results, you will probably have realised that there is a certain art to stringing. Young children focus on the hand co-ordination required for the technique, often without thinking too much about what they are stringing. The results are usually a rather jumbled mixture of beads in random colours, shapes and sizes, reflecting what the child liked best as they chose their next bead. Professional jewellery looks effortlessly appealing. The maker will have thought long and hard about stringing their beads in just the right order. This may be in a deliberate and regular pattern or it may be a carefully constructed appearance of randomness. The most interesting jewellery will string beads in unusual combinations and patterns that force the human brain to think about what it is viewing. If you are looking to take your jewellery making to this more sophisticated level, then you need to understand the principles of design and learn how to apply them as you work out your stringing pattern. 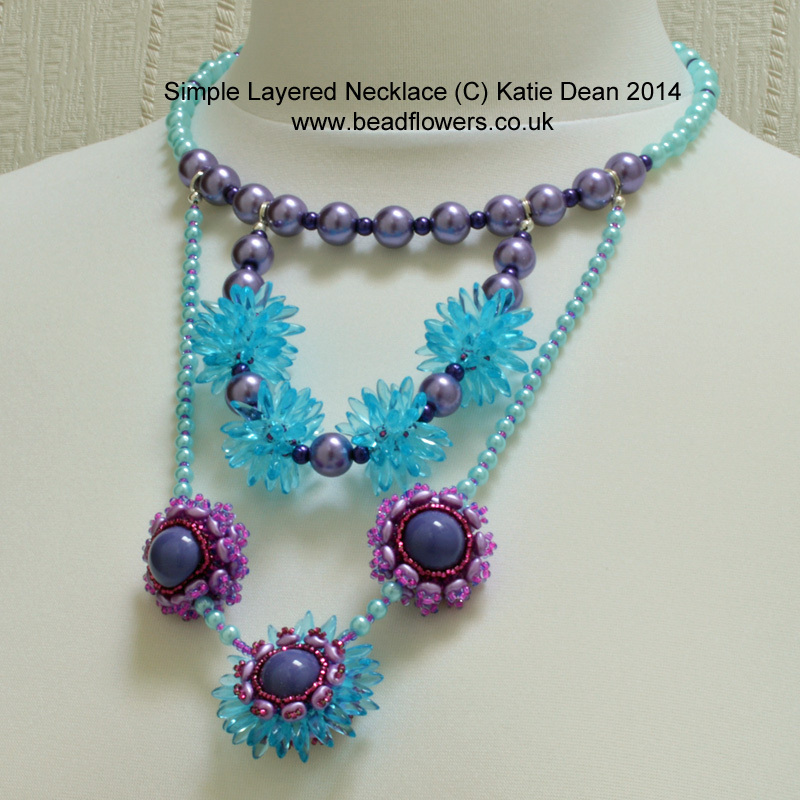 If you want some quick practise, you can find a free pattern for the layered necklace above, here. If your aspirations for making jewellery extend to earrings, then you will need to learn how to make wire loops and wire wrapped loops. 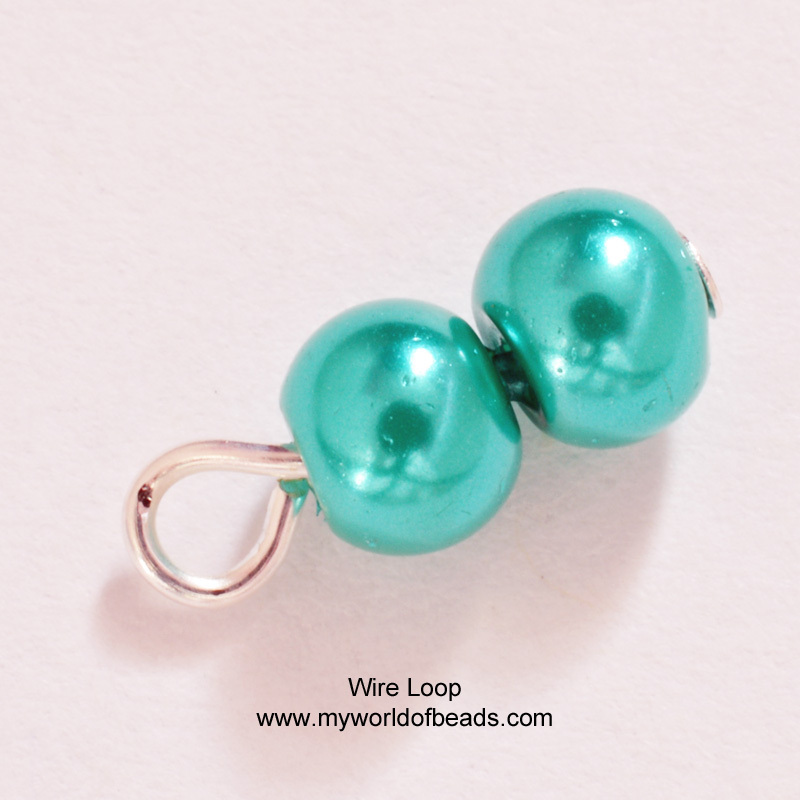 Both varieties of loop can be used for securing beads onto a head pin or eye pin. You can then attach an earring finding onto the loop. 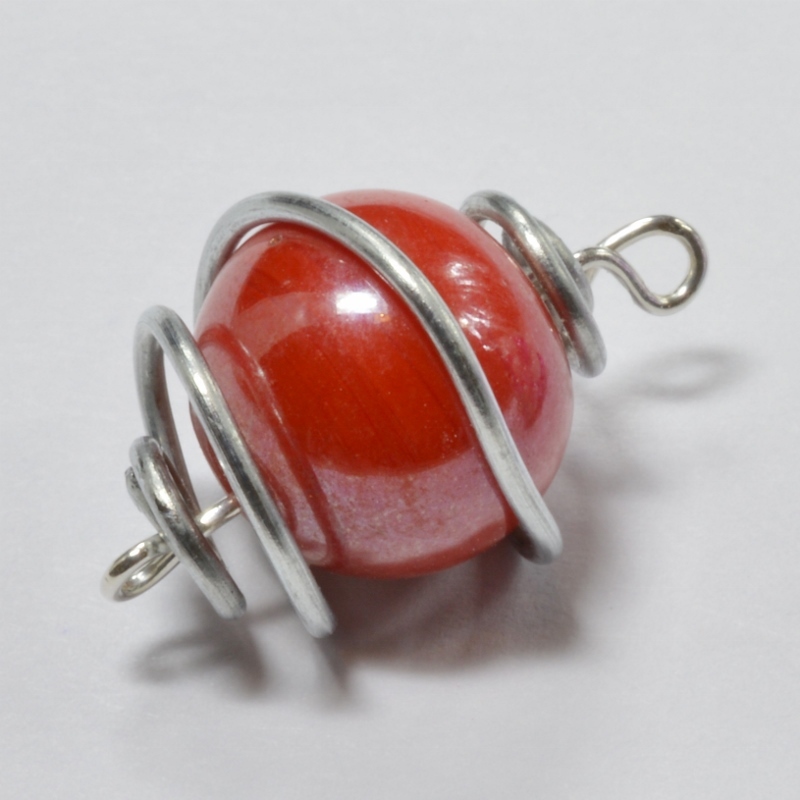 You can also create a collection of beads on head pins, then use jump rings or split rings to link these into a bracelet or necklace, as I did with this wire wrapped bead bracelet. The difference between a wire loop and a wire wrapped loop is two-fold. The wire loop basically just folds the wire around a pair of round nosed pliers. It can be unfolded in order to attach other elements before re-folding. The trick to the technique lies in placing the pliers correctly and measuring your wire accurately. The basic wire loop is created by rolling your wire around the pliers until you have created a complete circle. If you keep rolling the wire, you can create multiple circles next to one another. I find this creates a very secure finish for memory wire as it prevents the beads from slipping into the loop section and it also stops them from ‘gapping’. The wire wrapped loop has an additional element: as you make the basic loop, you create a stem of wire between the loop and the top of the bead, then you wrap the wire around this stem to seal the loop in place. This style of loop cannot be unfastened, but when done correctly, it gives a secure and attractive finish to your jewellery. You can find a free tutorial here. 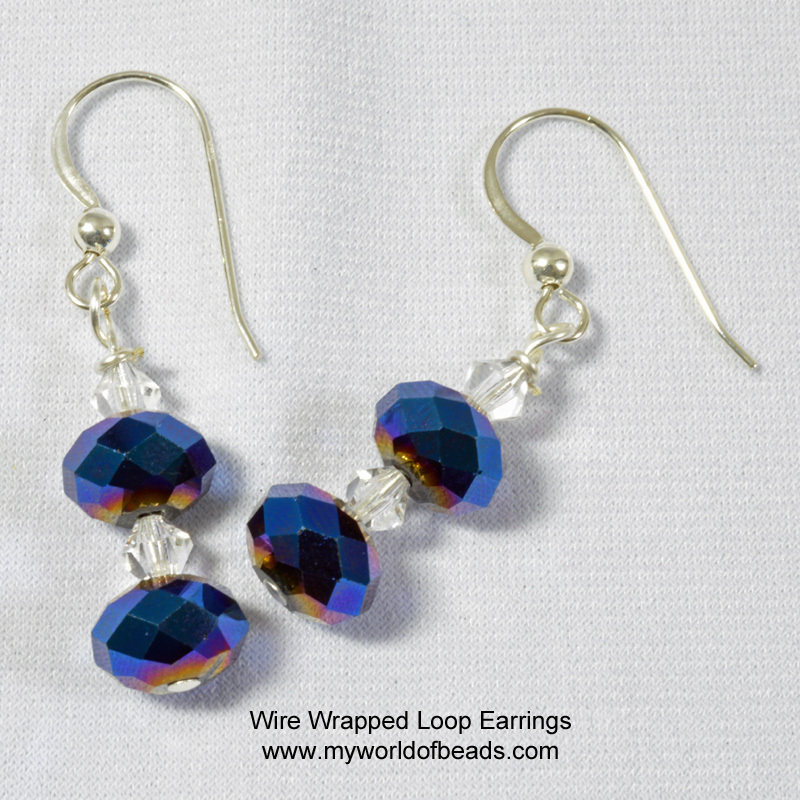 Once you have mastered wire loops, you will be equipped for making jewellery with connections, whether this is a basic pair of earrings, or a series of beads on pins that have been linked together. The final techniques to master for making jewellery are opening and closing jump rings and split rings. You need to understand the difference between these types of ring so that you will know when to pick the best variety for your project. Opening and closing them is simple. Use a pair of pliers, but remember to slide the rings open so that you will be able to slide them closed again – never attempt to just ‘pull’ them apart. You can find a techniques sheet for using the different rings here. 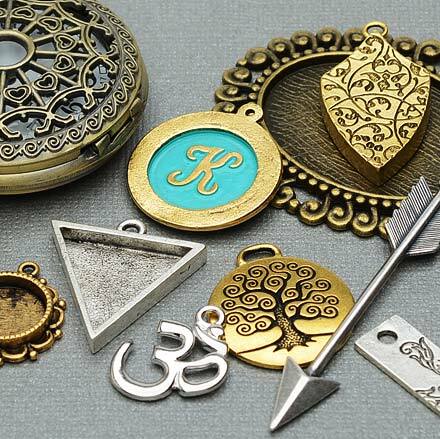 Armed with this selection of techniques, you are now ready to start making jewellery. I have talked about the basics here, but all of these techniques can be used to create truly stunning wearable art. If you like this article and want to read more, you can buy the Focus on Making Jewellery edition of My World of Beads in magazine format. 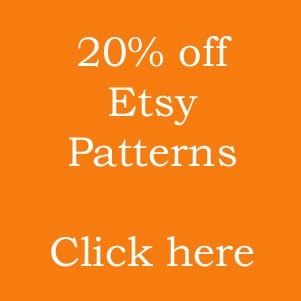 This will give you four basic jewellery projects as well as articles on selling your work and basic techniques. Take a look at the preview pages below and then place your order by clicking on the shopping cart icon underneath.